AUSMURI is a nine-year, $25 million investment program encouraging Australian universities to collaborate with universities in the United States and explore opportunities in designated topics. It complements the Multidisciplinary University Research Initiative (MURI) grant program administered by the US Department of Defense. 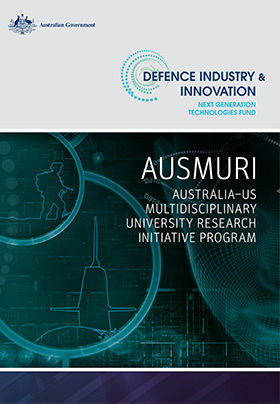 AUSMURI supports Australian universities which are part of successful bids in the US MURI process.